The conservative watchdog group Judicial Watch filed suit in federal court on Monday seeking communications records related to the Obama administration's attempt to ban a popular kind of AR-15 ammunition in 2015. The suit, Judicial Watch v. U.S. Department of Justice, was filed in the U.S. District Court for the District of Columbia. It stems from a Freedom of Information Act request the watchdog group filed with the Bureau of Alcohol, Tobacco, Firearms, and Explosives (ATF) in March 2015. The request asked for all communications related to the agency's decision "to no longer exempt 5.56 mm. SS109 and M855 (i.e., ‘green tip' AR-15) ammunition from the definition of ‘armor-piercing' ammunition" in the year leading up to its announcement. Judicial Watch said the ATF effectively ignored its request. The group said the ATF never formally acknowledged receiving the request despite confirmation from the Postal Service that it was delivered. ATF did not produce the requested documents, argue it was exempted by law, or tell the group if it ever intended to respond. "This is yet another example of how Obama's wanton use of the ‘pen and the phone' attempted to undermine the constitutional rights of all Americans, as opposed to upholding the rule of law," Tom Fitton, Judicial Watch president, said in a statement. "The Obama ATF simply ignored our request on their ammo ban." 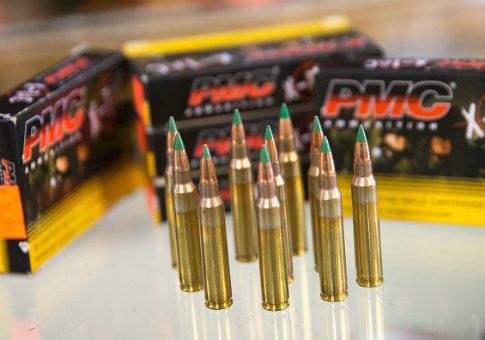 The ATF attempted to reclassify "green tip" 5.56mm ammunition as "armor-piercing" by removing a long-standing "sporting purpose" exemption in February 2015. The rule change effectively would have banned the sale of the popular ammunition type. However, strong backlash from Congress and the public led the ATF to abandon its effort to ban the ammo. Judicial Watch described the ATF as "out-of-control" and said it hopes the Trump administration will bring change to the agency. "Let's hope the Trump administration finally brings transparency to this out-of-control agency," Fitton said. The court date for the suit has not been announced. This entry was posted in Politics and tagged Gun Control, Guns. Bookmark the permalink.